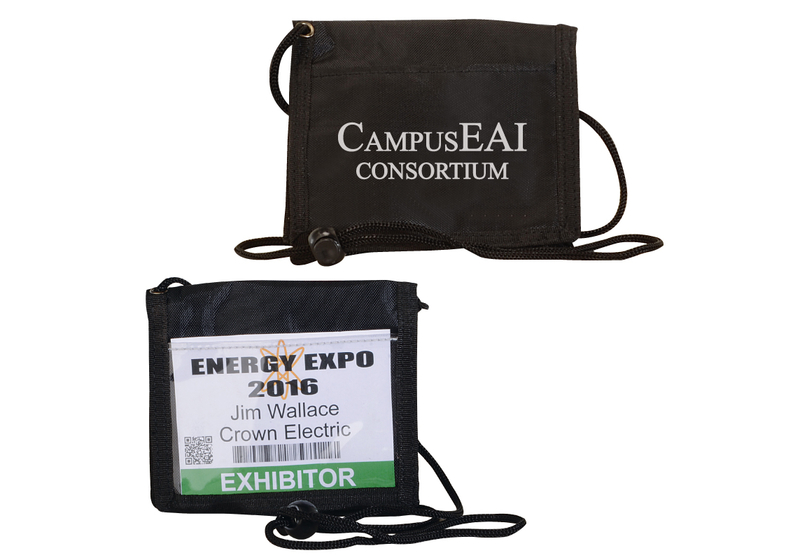 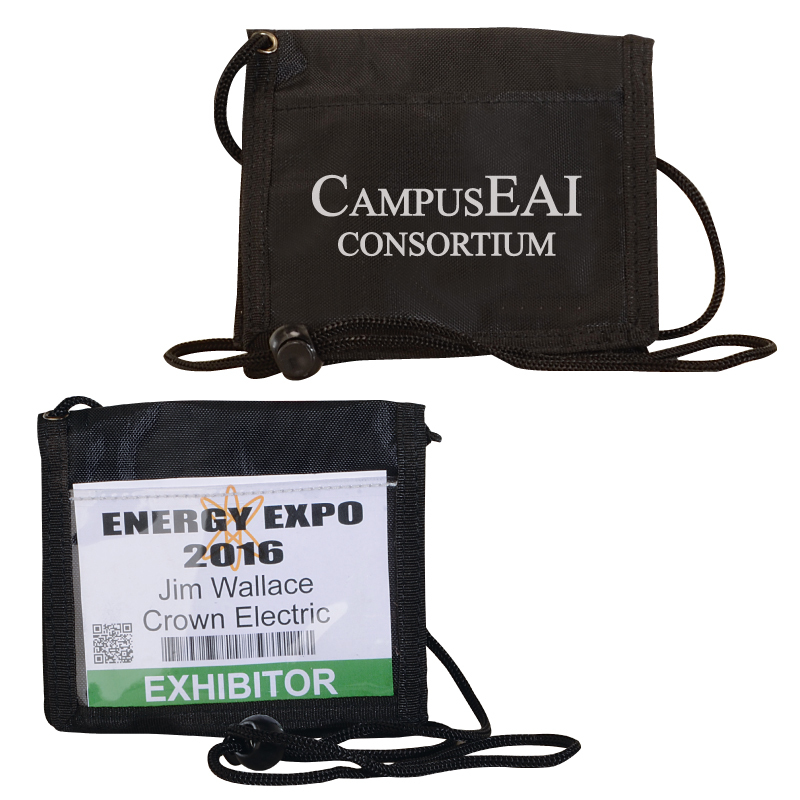 DESCRIPTION 420 denier nylon convention tradeshow badge holder. 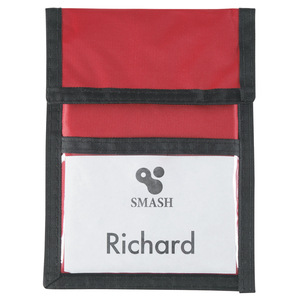 One exterior clear PVC badge pocket. 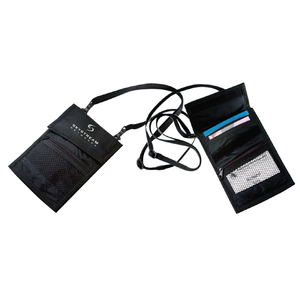 One exterior back pocket. 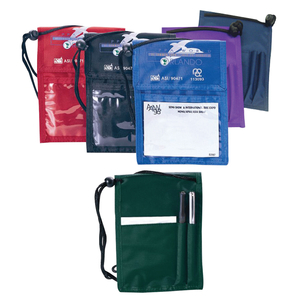 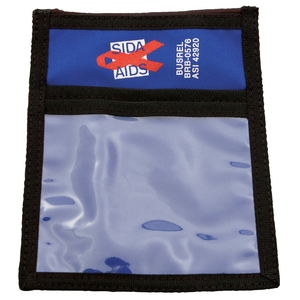 Two interior clear PVC card pockets and one zippered wallet pocket for bills, change, or other notes. 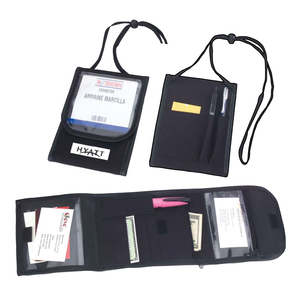 Velcro enclosure and adjustable neck cord.